Chicago wandering and Soul Vegan grab-and-go – vegan in your city. 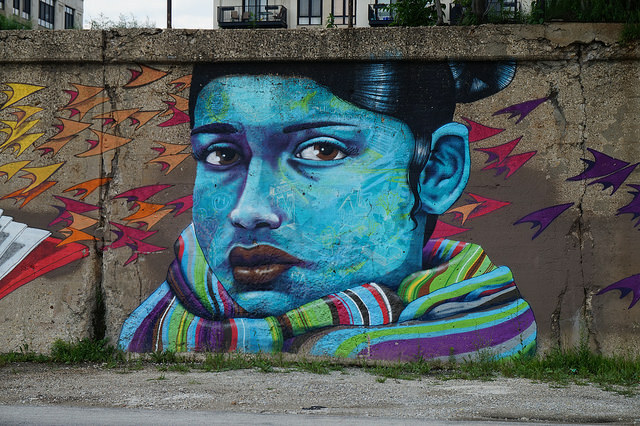 After enjoying a very lovely lunch at The Chicago Diner & enjoying a few cups of fancy coffee at Gaslight Coffee Roasters, we wandered around the Pilsen neighbourhood enjoying some of the street art Chicago is known for while we waited for our AirBnB apartment to be ready. As we travelled through the city I couldn’t help but feel like the city had a lot in common with Toronto in ways that other places I’ve travelled to do not. Little pockets of different cultures and neighbourhoods, a couple of major roads as main thoroughfares, street art, the general mid-sized-large city ambiance, etc. Home away from home. 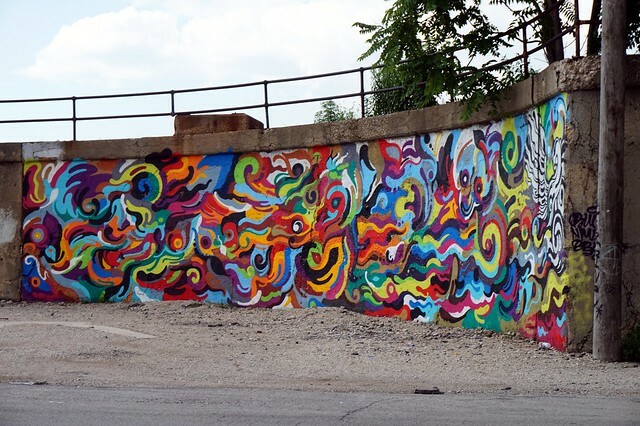 I collect pictures of street art wherever I can find it, because it’s so transient, and always changing and evolving. If you want to see anymore, please check out my Graffiti album on flickr. 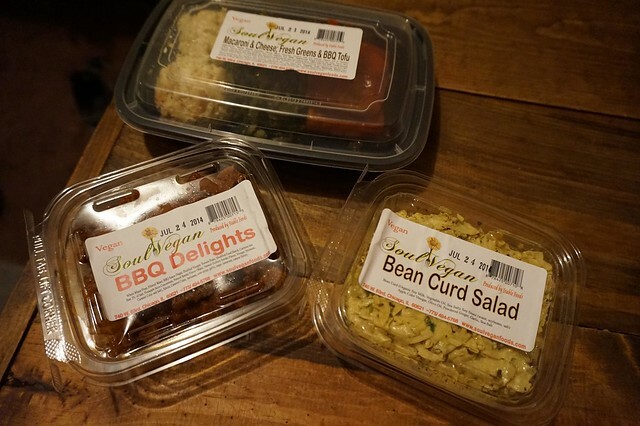 After getting into our AirBNB, we zipped over to a nearby Whole Foods in search of Earth Balance macaroni and cheese, and stumbled on Soul Vegan grab and go fare. We had considered going to Soul Vegetarian that night, but after a reasonably busy morning, we’d end up getting there just a bit too late for a relaxed meal. Until now, I didn’t actually realize that Soul Vegetarian and Soul Vegan are not the same folks though. So far JC and I have eaten at Souley Vegan (in Oakland), Soul Vegetarian (Jacksonville), Detroit Vegan Soul (Detroit), and now this one. I wonder what it’s like fresh, because most of it was pretty tasty right out of the package. JC got the combo pack with macaroni and cheese, greens and BBQ tofu, and I picked out the BBQ delights and bean curd salad. I just really liked that I could choose between two local producers for fast take-away while grocery shopping, we had tried Upton’s from a Whole Foods in Detroit, and planned to go directly to the Upton’s Breakroom the next day, but they were available as well. I could not get enough of the Bean Curd Salad, and JC seemed to love everything else. I would buy some of these again, and I’m still really interested in checking out Soul Vegetarian the next time we’re in Chicago (which might end up being on the way back to Toronto in a month or so). Soul Vegan products are available on cafes/stores on this list. Chicago, Soul Vegan, Soul vegetarian. Bookmark.